Science fiction tales, some humorous and some not-so-funny, about the downside of the future—and how to deal with a universe ruled by Murphy's Law! 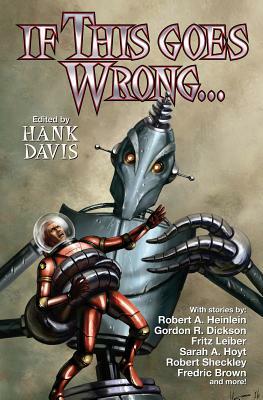 Includes stories by Robert A. Heinlein, Sarah A. Hoyt, Fritz Leiber, Gordon R. Dickson, Lester del Rey, Christopher Anvil, Fredric Brown, and more. But surely the benefits of modern technology outweigh the drawbacks. Until they don’t. Remember how increasingly deadly weapons, from the machine gun to the H-bomb, were supposed to make war too horrific to even be contemplated? Didn’t happen. The cell phone has made it possible to phone from almost anywhere—too bad if you wanted to be out of reach. And civilization is so big and complicated, that a breakdown of any part can have disastrous consequences. Modern transportation makes it possible to get anywhere in a hurry, though traffic jams and overextended airports may slow the hurry part to a crawl. And it also can ensure that a new disease can go all over the planet in a few days. Then, there’s the sheer complexity of society itself, from interminable waits at the DMV to trying to get tech help on the phone (“Your call is important to us . . .”).